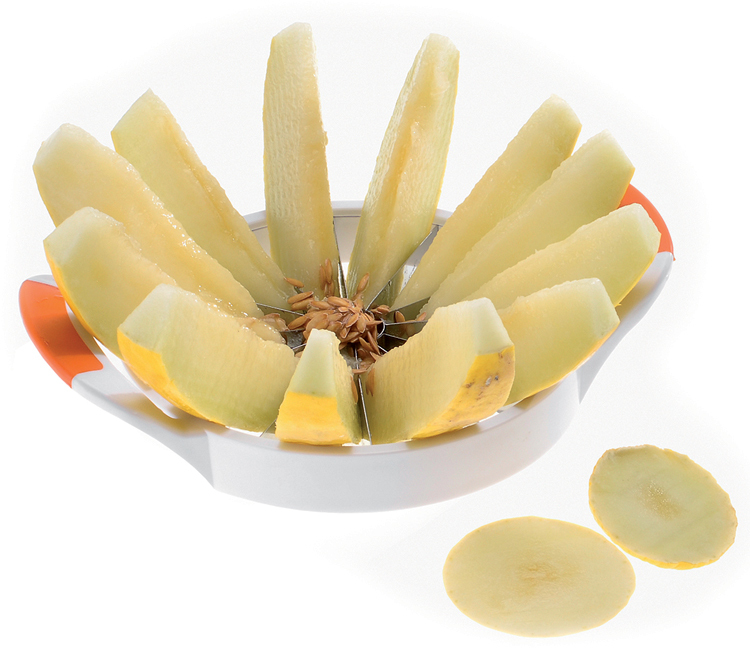 The sharp, serrated knives cut the fruit easily and cleanly into 12 sections. 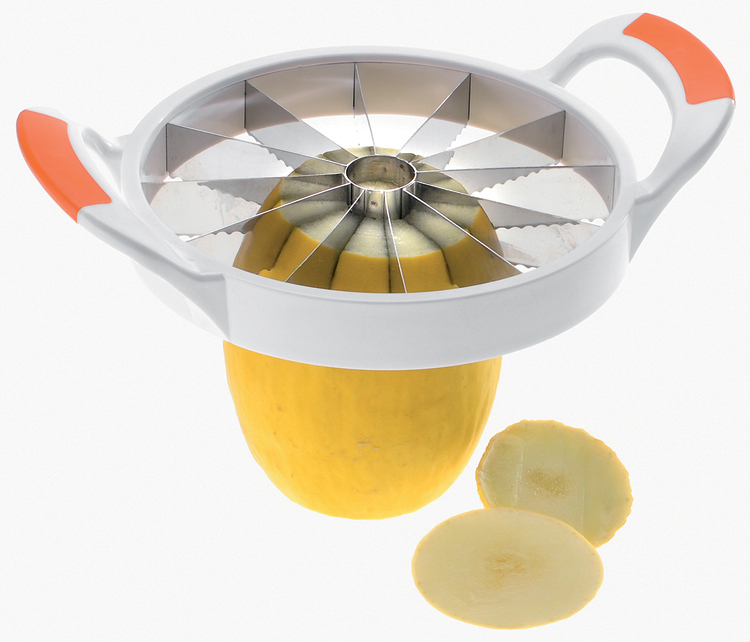 Cuts melons up to 19 cm (7 1/2") in diameter. Stainless steel blade, ABS handle.